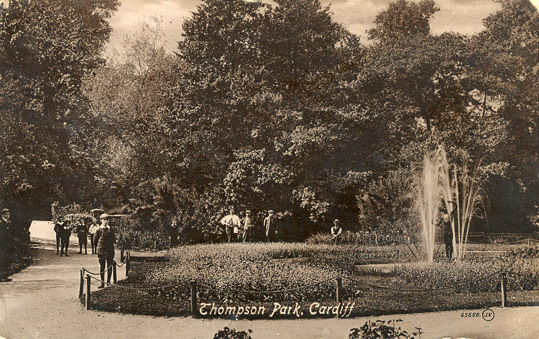 Located in Canton and one of Cardiff's oldest parks, Thompson's Park was originally called Sir David's Field (Cae Syr Dafydd). 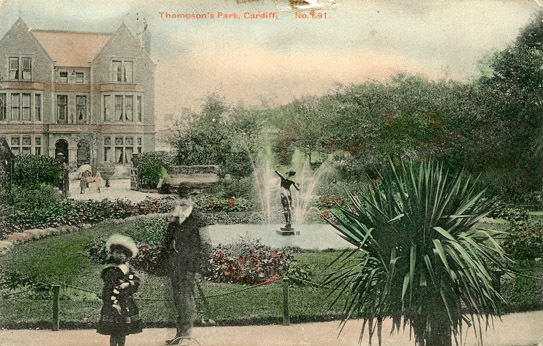 It was opened to the public in 1891 by the landowner, Mr Charles Thompson, who gave it to the Cardiff Council in 1912 and continued to develop it as a public park at his own expense. 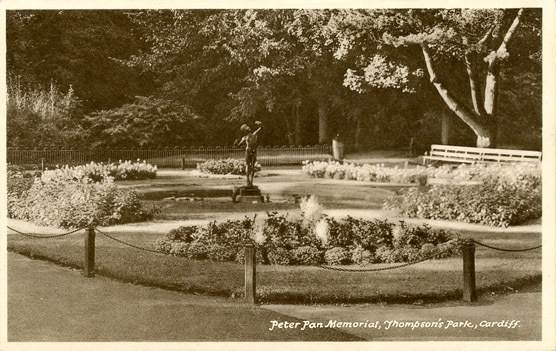 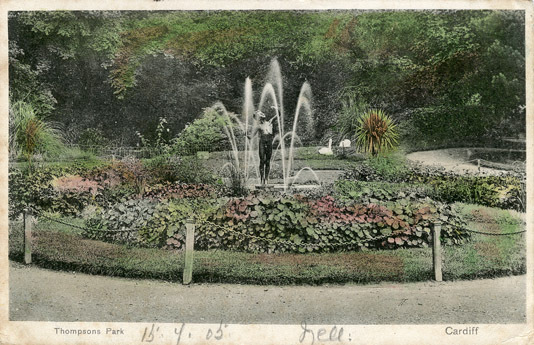 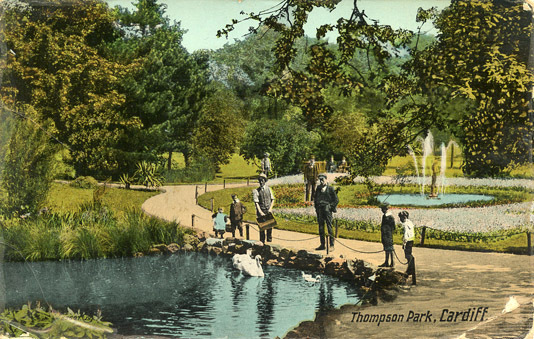 Most postcards of Thompson's Park show the southern end with the pond, fountain and the bronze sculpture 'Joyance' by Sir William Goscombe John. 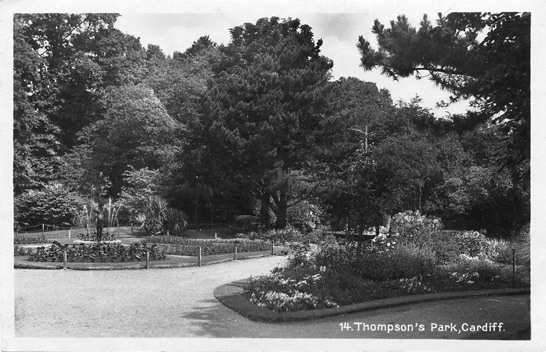 As well as postcard images there is a section which explores the documented history of Thompson's Park, and in addition a series of sketchmaps showing the development of the park over the years.